Happy New Year! I hope each of you got to enjoy your family traditions and celebrate the passing of another remarkable year. I am gearing up to move to Helena for four months to represent you, our members, all day, every day. You can expect an email update from me every Monday morning with a recap of the past week and an overview of the week ahead. In this new era of politics, I still subscribe to the model of being respectful in our discourse with one another, especially our opponents. 2019 Legislative Session gets underway on January 7th. A quick summary of the post-election results: Republicans still control both the House (58-42) and Senate (30-20). With Governor Bullock being a Democrat, we have divided government in Montana. Therefore, in order to pass controversial laws, there is going to be some compromise needed from both the Legislative and Executive branches. Scott Sales was once again elected to be President of the Senate and Greg Hertz will be Speaker of the House. Your association lobbyist, Brad Griffin, has been busy poring through the almost 2,900 bill draft requests that have been filed. This is a huge number but remember this, usually we end up with about 2,000 actual bills, with the remainder being what we call “placeholders” or empty shells. And of the 2,000 bills, about 25% become law. Medicaid Expansion: One of the biggest bills is going to be about Medicaid Expansion. The Legislature passed Medicaid Expansion in 2016 and 91,000 Montanan’s have enrolled in it. It is good from 2016 to 2020 but it must be reauthorized by June 30, 2019. Therefore, there is much pressure to pass a bill that keeps the expansion in place, either permanently or for another period of time with a sunset clause. The bill will likely include provisions to means-test recipients and have some work requirements for able-bodied adults. The big fight is going to be how to pay for it. I-185 Rejected: In November, voters rejected I-185, an initiative that the hospitals in Montana proposed to pay for expanding Medicaid by increasing tobacco taxes by $3 per pack. The tobacco companies spent $28 million defeating it while hospitals spent $9 million. The consequences of this failed effort will reverberate through the legislature because it is very doubtful that lawmakers will consider raising any tobacco taxes now that the voters have spoken. So the money will have to come somewhere else. It will be interesting to see what happens as the Session unfolds. Opioids: Other bills on my list so far are numerous opioid related bills to try and lessen the staggering number of overdose deaths that our country is experiencing, almost 4,000 people per month—a shocking number. Also on my watch list are bills to implement a per-bag fee on disposable bags, a bill to outlaw styrofoam food containers, over 50 alcohol bills (an unprecedented number indeed), bills to grant more hours and ounces to brewers and distillers, and dozens of others. We will also run a bill to Modernize Access to Immunizations, which will allow pharmacists to administer immunizations to children 7 years of age or older. This is big deal because it will vastly improve access to immunizations for all Montanans. This has already been done in over 45 states, so Montana is behind the curve on this issue. Right to Repair: Equipment Dealers should be concerned that a bill called Right to Repair has been introduced. Similar bills have been defeated across the country, but we need to be vigilant. We support right to repair, because farmers and ranchers can buy a service manual, but we do not support Right to Modify. Proponents want to be able to circumvent safeguards that help engines run cleaner and they want to juice the horsepower. Giving farmers and ranchers the computer codes opens dealers up to huge liability and it will void the warranty. A bad idea that needs to be killed. At least 55 Alcohol Bills: An unprecedented 55 alcohol bills are already in the hopper and there may be more. To be sure, many of these will never become an actual bill, but even if one-half do, 25 bills on a single topic is pretty overwhelming. Many of them seek to give the brewers, distillers and wineries more hours and ounces and others seek to create new types of licenses, complicating an already complicated regulatory scheme. Some are focused on weakening or destroying the quota system, the lynch pin to how we regulate alcohol in Montana, There are several that seek to establish a an interim study of the system, which may be the right idea if it’s done right. We started this public-private partnership between law enforcement and retail loss prevention experts over two years ago. At its core, it is an information sharing network using our secure web site. We use images of thieves to identify them and help law enforcement build criminal cases against them. We have had some notable successes, helping to put repeat and often dangerous people behind bars. This problem relates back to our opioid epidemic—most of these thieves have major drug problems and are feeding their addictions through theft. If you are interested in becoming involved, please contact Valerie McClintock, our Member Services Coordinator at 406-206-4461. It is only open to current members of the Montana Retail Association and it is free for law enforcement. 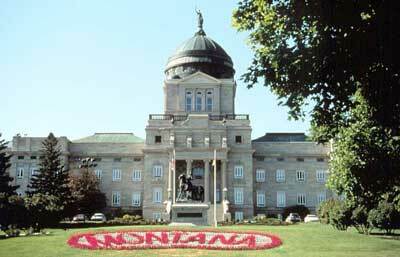 In addition to the secure web site, we are also holding in-person meetings in our major markets around Montana. See the list of dates, times and locations below! The Montana Department of Labor has announced that beginning January 1, the minimum wage will increase to $8.50 per hour. This annual increase is the result of voters approving I-151 back in 2006. As a result, the minimum wage is increased each year by the Consumer Price Index (CPI). ServSafe Food: Montana requires that each restaurant establishment have one person on staff who is ServSafe Certified. Mike Callaghan offers training and he can be reached on his website, www.callaghan-ent.com. ServSafe Alcohol: Every server in Montana needs to be certified to serve alcohol and the best way to get that done is to go to www.ssamontana.com and enter promo code MTMEMBER to get your $5 discount. MEDA Conference October 2-3, 2019: The Montana Equipment Dealers Association will be holding its 111th Annual Conference at the beautiful Lodge at Whitefish Lake. We will be focusing on educating our current and future workforce throughout the two days. MEDA Board Meeting, April 24, 10AM, Helena: The Montana Equipment Dealers Association will be holding its Spring meeting on April 24 in the State Capitol. Our main goal is to plan the October Conference and review any legislation that impacts dealers, like Right to Repair. Lobby Day will be held on Tuesday, February 19 and is free for all members. We are inviting all four Boards and members to Helena for briefing on Legislative issues impacting our members. We will be meeting throughout the day and concluding with Legislative Reception. We have invited all 150 Members of the Legislature to come and enjoy heavy appetizers and drinks from 6-8PM at the Great Northern Hotel. There is no cost to attend but we would appreciate your registration so we can have an adequate head count and name tags. Look on our website for more information. Council of State Governments, Big Sky, July 16-19: Founded in 1933, The Council of State Governments is our nation’s only organization serving all three branches of state government. CSG is a region-based forum that fosters the exchange of insights and ideas to help state officials shape public policy. This offers unparalleled regional, national and international opportunities to network, develop leaders, collaborate and create problem-solving partnerships. CSG’s Mission is to champion excellence in state governments to advance the common good. Your association will be in attendance! Brad Griffin to Host Council of State Retail Associations, September 16-19: In September, retail executives and state retail association executives from across the country will be meeting at the Lodge at Whitefish Lake for four days to exchange best practices in governmental affairs and association management. We are excited to be hosting this annual event and show off our beautiful state!